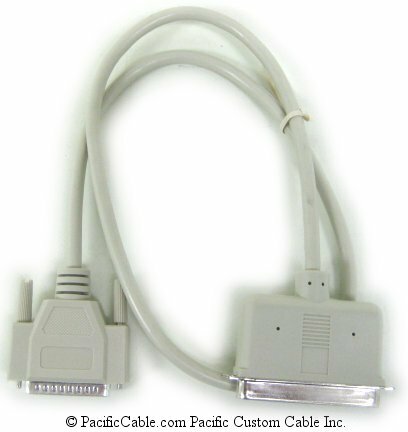 DB25 Male - Used for parallel, serial or scsi applications: modem, null modem, laplink, printer, scanner, removable storage drive, Apple scsi. The DB25 connector has 25-pins arranged in two rows one on top of the other. The top row has 13 pins and the lower row has 12 pins. Centronics 50 Male - At one time this was one of the most common SCSI connectors. 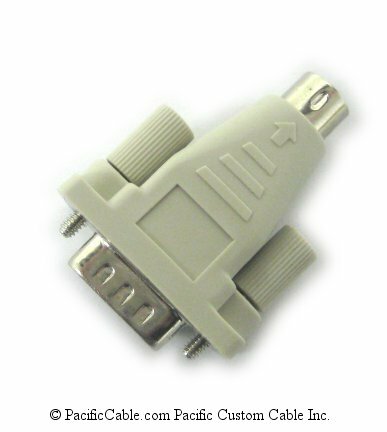 Used for scsi-1 applications: older scanners, controllers, external scsi device cases. The Centronics 50 connector has 50-pins arranged in two rows one on top of the other. The top row has 25 pins and the lower row has 25 pins. Used mostly with older 5 MB SCSI-1 Systems. Often called Low-Density SCSI-1 connector. 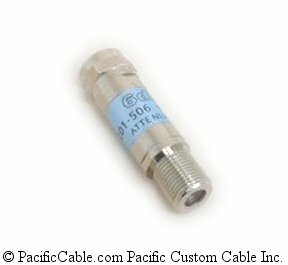 Most SCSI SLOW (5 Mbyte/sec) computers and host adapters use the Centronics type 50-pin connector. Also some 8-bit Fast computers and host adapters. SCSI 1 - The original standard that was derived from SASI and formally adopted in 1986 by ANSI. 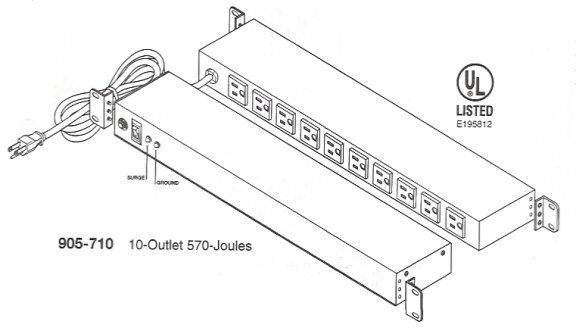 SCSI-1 features an 8-bit bus (with parity), running asynchronously at 3.5 MB/s or 5 MB/s in synchronous mode, and a maximum bus cable length of 6 meters (just under 20 feet -- compare that to the 18 inch (0.45 meter) limit of the ATA interface). 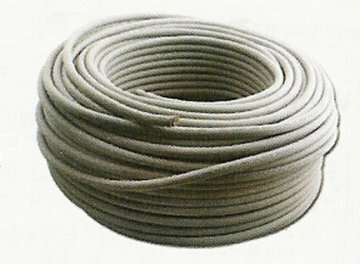 A variation on the original standard included a high-voltage differential (HVD) implementation whose maximum cable length was many times that of the single-ended versions.